This post is sponsored by Family Dollar but thoughts and opinions are all my own. Often being at the gym means you’re also often in workout clothes. To no one’s surprise, workout clothing has overtaken regular clothing in my wardrobe now! I try out workout clothing from lots of different stores, price points, and brands, but not every piece makes the cut. If I wear it once and it doesn’t meet my time-tested criteria, it’s out. 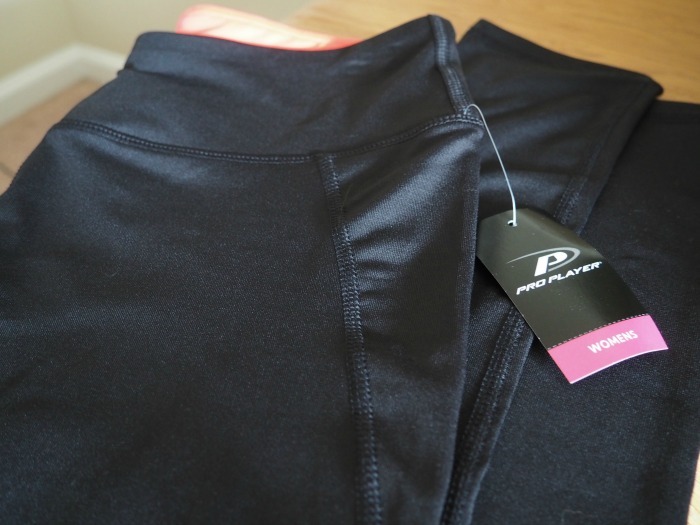 So I’m sharing my rigorous workout clothing criteria on the blog today, featuring some affordable picks from Family Dollar, to hopefully save you some grief, unwanted bunching, and wasted money! These leggings from the Pro Player line come in black, gray, and colorful prints! Everything tagless! Same reasoning as listed above for flat seams. 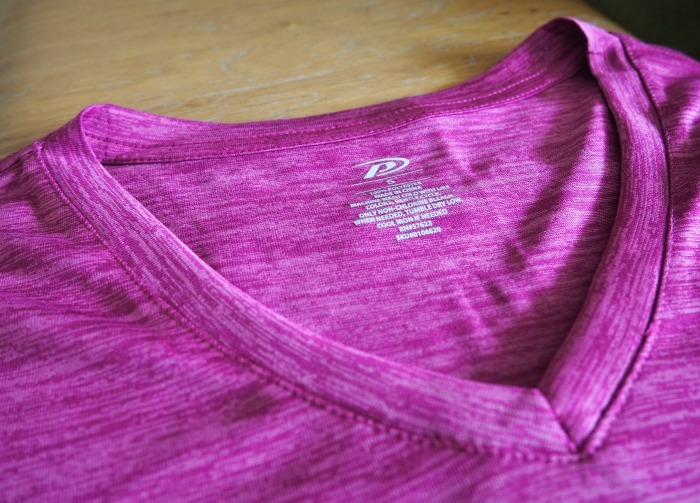 Family Dollar’s Pro Player line has performance v-neck tees for women in a variety of colors. I grabbed this pink one as well as a nice neutral gray one. Pants must be high-waisted. If I can’t do a squat motion in a pair of pants without them sliding down, they’re a dud. Along the same lines, pants should be able to pass the stiff-legged deadlift test. That is, if I bend forward, they shouldn’t become see-through and show my buns to the world. I picked up two pairs of leggings for an awesome deal at Family Dollar and they pass the high-waisted test AND the see-through test. Awesome. Sweat-wicking socks. When you don’t wear sweat-wicking socks, your feet are more likely to blister while exercising because some socks can hold on to moisture. This is especially important for runners! Hidden pockets are not required, but an awesome bonus! These pants from the new Pro Player line at Family Dollar have a surprisingly deep hidden pocket up front that can fit your keys. Adjustable straps on sports bras are non-negotiable. Straps do stretch out over time, so the bra has to be able to roll with the punches and adjust as needed. 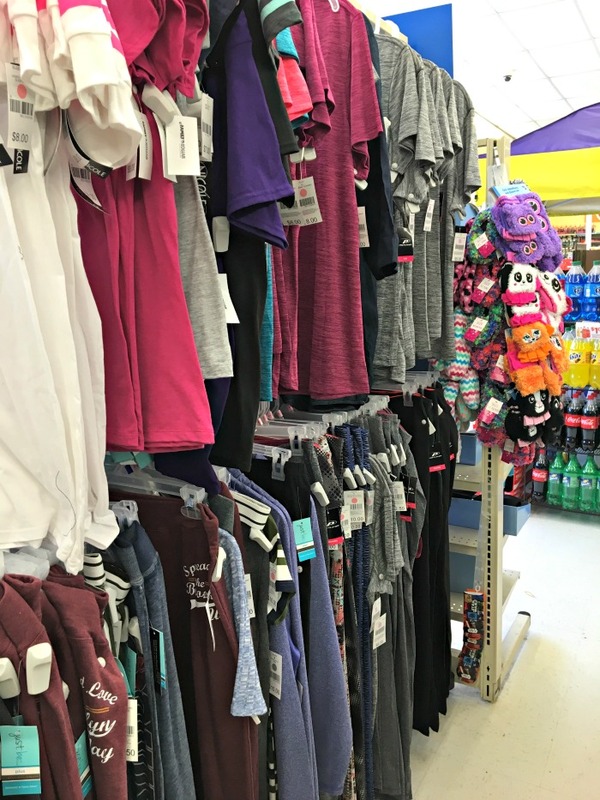 The Family Dollar Pro Player line has athletic clothing for men and women at awesome prices! If you want to nab affordable athletic clothes like the shirt and leggings I previewed here, hurry to your local Family Dollar and check out their new Pro Player workout clothing line. Don’t forget to look for new Smart Coupons before you go so you can save even more cash! Do you have any other must-have criteria you follow when picking out workout clothes?